On Saturday, November 10, the Tampa chapter of the Council on American-Islamic Relations (CAIR) will be sponsoring its Mid-Florida Region 8th Annual Banquet at a hotel located on the campus of the University of South Florida (USF). The fundraising event will be featuring a number of questionable individuals, from its speakers to its attendees to its organizers. One of the advertised speakers at the banquet is Siraj Wahhaj. Wahhaj is infamously known for having been named an "unindicted co-conspirator" for a federal trial dealing with the 1993 bombing of the World Trade Center. Also named co-conspirators for the trial were, amongst others, Osama bin Laden and bin Laden's mentor, Abdullah Azzam. Wahhaj had been linked to the bomb maker of the attack, Clement Rodney Hampton-El, and during the trial, he was a character witness for the spiritual leader of the bombing, "the Blind Sheikh" Omar Abdel Rahman, whom Wahhaj has openly praised. 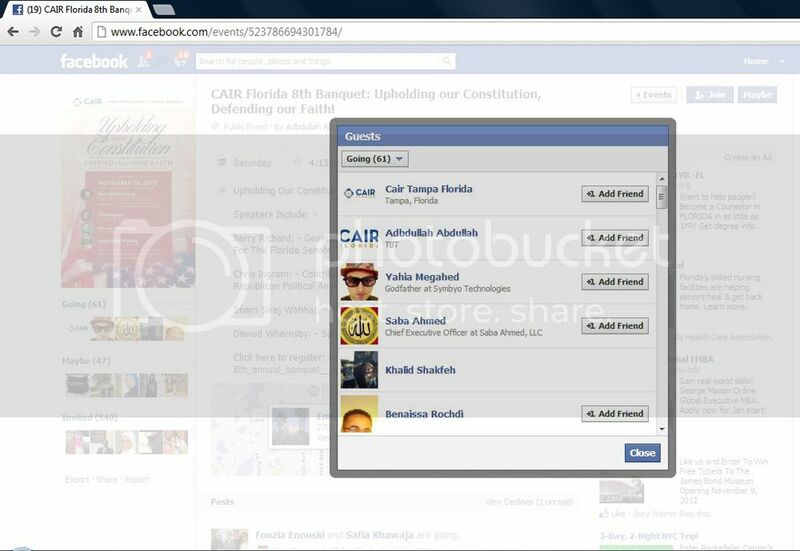 According to the Facebook page for CAIR-Tampa's banquet, attending the event will be Yahia Megahed. 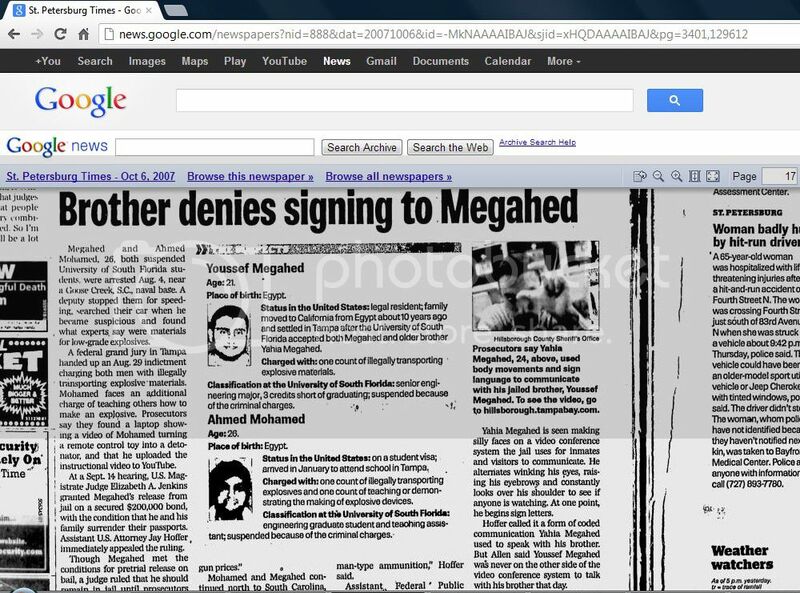 In October 2007, Megahed was accused by U.S. prosecutors of signing and using coded language to communicate with his brother, Youssef, who at the time was in prison and charged with illegally transporting explosive materials. 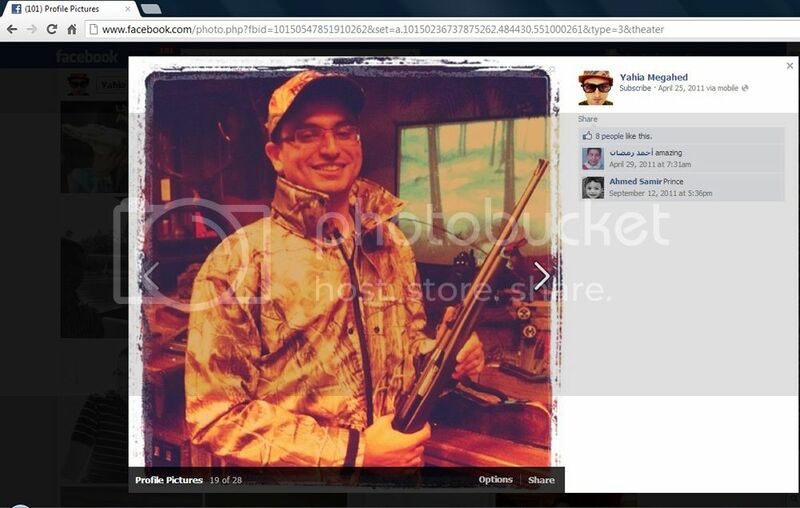 Yahia's own Facebook page contains a photo of himself brandishing a rifle. This, while prosecutors argued against his brother's release due to what was called his brother's "growing interest in firearms." Hassan Shibly is the Executive Director of CAIR-Tampa. He has held the position since June 2011. Prior to that, he has been the subject of a number of controversies. In December 2004, while heading back from a radical Muslim conference in Toronto, Shibly was detained by U.S. Customs and Border Protection (CBP) agents, "singled out," as one publication put it, "as a possible terrorist." According to court documents, the CBP "received intelligence that gave them reason to believe that persons with known terrorist ties would be attending certain Islamic conferences to be held during the year-end holiday season of 2004, including the Reviving the Islamic Spirit Conference at the Skydome in Toronto, Canada." Following the 2006 Israel-Lebanon War, Shibly defended Hezbollah, a Lebanese group found on the U.S. State Department list of Foreign Terrorist Organizations (FTOs). In October 1983, Hezbollah was responsible for murdering 241 U.S. Marines via a suicide bombing. He stated, "Hezbollah is basically a resistance movement supported by people in Lebanon… They're absolutely not a terrorist organization." This past September, Shibly was a guest on WMNF-Tampa's Last Call show. Discussed were the attacks that took place in Libya and Egypt on September 11. He was asked what the black flag was that Egyptians had replaced the American flag they tore down from the U.S. Embassy in Cairo with. Shibly was dishonest about the flag and made excuses for the Egyptians, saying, "[T]hey wanted to show that, no, we will not let the flag of hatred, the flag of bigotry rule over our identity as Muslims. So they put up a flag that had the Muslim creed… and they rose that flag up high to show that we will not let these insults go higher than our culture and our identity." Shibly downplayed the Egyptian attack as a "sort of protest." And regarding the black flag, Shibly conveniently left out the fact that it is most commonly known as the battle flag that is flown by al-Qaeda. Hassan Shibly likes to portray himself as a "mainstream" Muslim. He throws around the term "extremist," as though it is something foreign to him personally. Yet, the group he represents, in addition to his own past statements, leads one to understand that he too is an extremist. 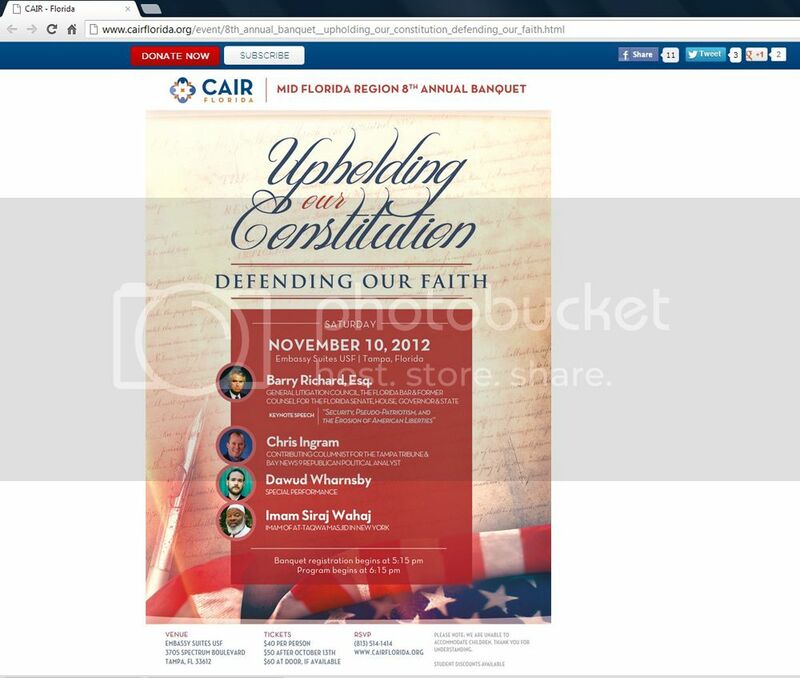 When CAIR's banquet takes place this Saturday, those involved should understand that they will be bringing money to an organization that attracts participants and attendees with questionable pasts, an organization that employs radicals. They will be bringing money to a group that raises many ‘red flags,' if not black flags. Joe Kaufman is a former candidate for United States Congress. He is an expert in the fields of counter-terrorism, foreign affairs and energy independence for America.